Potato chips were supposedly created by a chef named George Crum in Saratoga Springs, New York in the mid-1800’s after a customer sent back fried potatoes claiming they were too thick and mushy. In response, the chef sliced potatoes very thin, fried them until they were very crisp and then seasoned the chips with salt before sending them back out to the offending party. Surprisingly, the patron loved them. Word spread and eventually the potato chip was added to the menu as a side dish. However, the Spanish and the French would probably dispute this story and claim “fritas” or “frites” originated in their respective countries long before the Americans started making them. In the United States in the early 1900’s, potato chips started being mass-produced for home consumption. 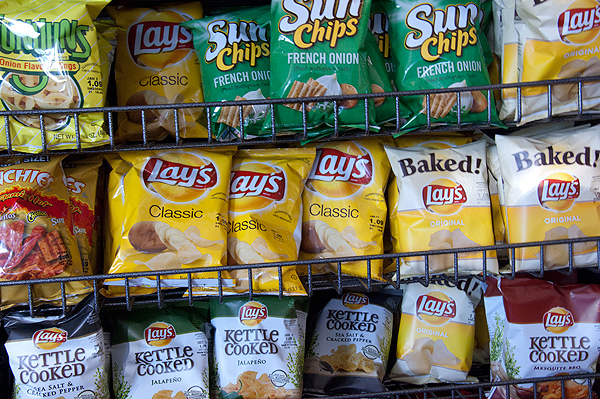 Over the next century, manufacturers created different varieties of potato chips using various flavorings: sour cream and onion, salt and vinegar, honey dijon, sweet onion, cheddar, barbecue, and even yogurt and green onion. However, the American staple seems to be plain Lay’s, Cape Cod, Kettle, or Charlie Chips. Most potato chips made in the United States are made with vegetable oil (although there are some companies using canola oil), which is a blend of several refined oils designed to have a mild flavor and a high smoking point. Probably the single most affront to a real potato chip is the Pringle, which is a processed chip that is reported to be 42% potato and has 8-12 ingredients (as the label indicates that one or more of several oils could have been used in the production of the Pringle). 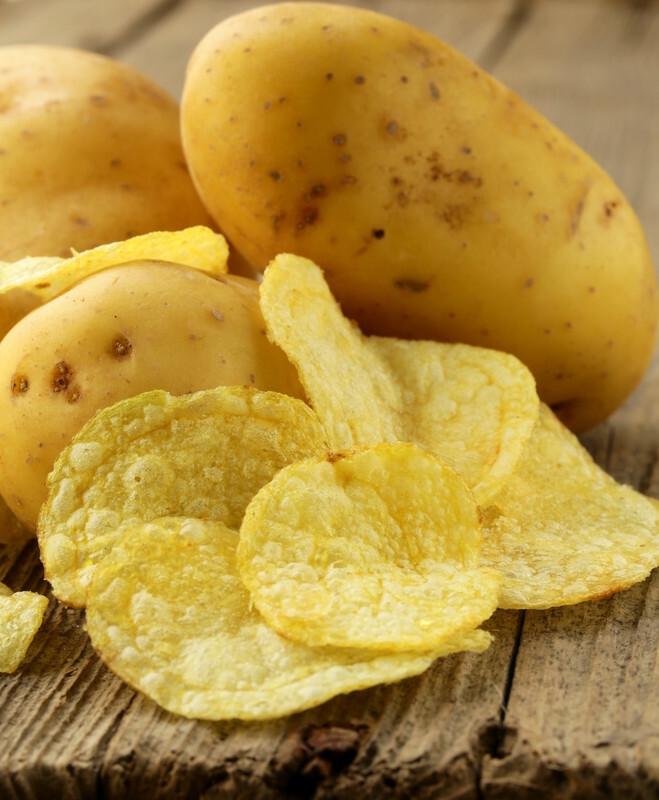 The potato is the main ingredient in potato chips and manufacturers will tell you a potato needs to have both a low moisture and low sugar content in order to produce a crisp chip. The most flavorful chip is made using olive oil and the oil has to be hot: 320-365 degrees depending on who you ask. When the potato slice is placed into the hot oil, the natural sugars caramelize and the proteins break down into a thin shell which protects the potato from soaking up the oil, thus creating a crisp chip. Olive oil has a lower smoking point than vegetable oil but commercial fryers have mechanically regulated thermostats to minimize the risk of fire as the chips have to be fried at a high enough temperature to make them crisp but a low enough temperature to keep their light color. The real reason most manufacturers don’t use olive oil is because olive oil is more expensive than vegetable and canola oil. 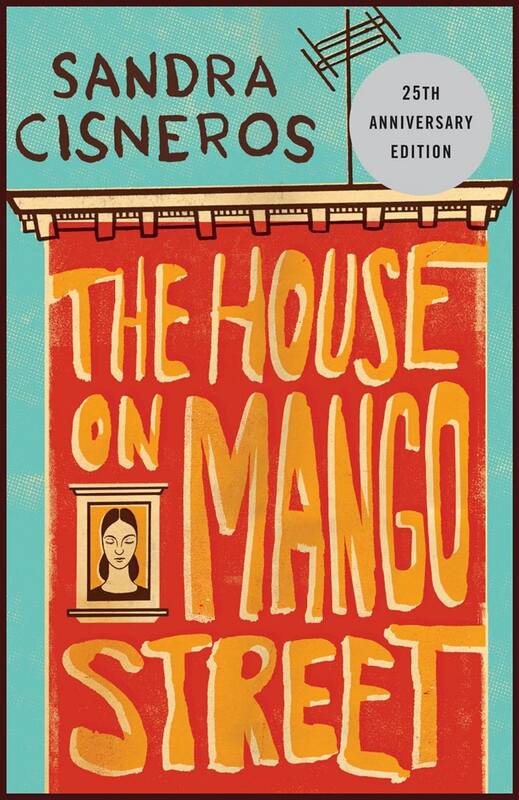 In 2002, I moved to Madrid, Spain with my family and discovered markets – the bustling neighborhood destinations filled with vendors selling fresh fruit and vegetables, meat, fish, cheese, nuts, olives, and even potato chips. Potato chips are taken very seriously in Spain and the Spanish understand that the sign of a truly good potato chip lies in 3 things: the potato, the oil, and salt. It’s as simple as that. During my years in Spain, I became a loyal consumer of “Arte Fritas de Soria” which are hands down the most delicious potato chip I’ve ever tasted: big earthy potato flavor combined with olive oil with a subtle taste of salt in a crisp chip. It’s impossible to eat just one. 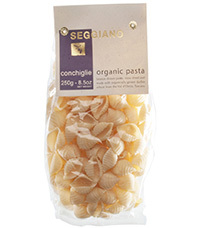 In fact, it’s hard not to eat the whole bag. These chips are produced by a company in Soria, a small town north of Madrid and just west of Zaragoza. On their website: www.artefritas.com, the company claims the potatoes are cultivated at 1000 meters, which is about 3,000 feet but I don’t know if this makes a difference. To me, the difference lies with the use of olive oil. 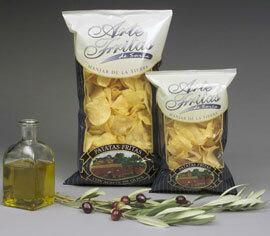 Arte Fritas de Soria have three ingredients: potatoes, olive oil, and salt. When I left Spain and moved to Switzerland, I thought I would find similar potato chips because the Swiss have a reputation for doing virtually everything better (and telling you they do but that’s another story)…but I was wrong. Most potato chips in Switzerland are flavored with paprika and made with vegetable oils. I was disappointed and resigned to not eating potato chips although I did think about them. On a trip back to Madrid a few years later, I went to my favorite market – Mercado de la Paz at Calle Ayala 28 – in my old neighborhood, Salamanca and bought ten bags of Arte Fritas de Soria from Miguel Angel of Alimentacion Miguel Angel.Miguel Angel sells olives, nuts, tuna (only in olive oil), and lines the back wall of his stall with Arte Fritas de Soria. 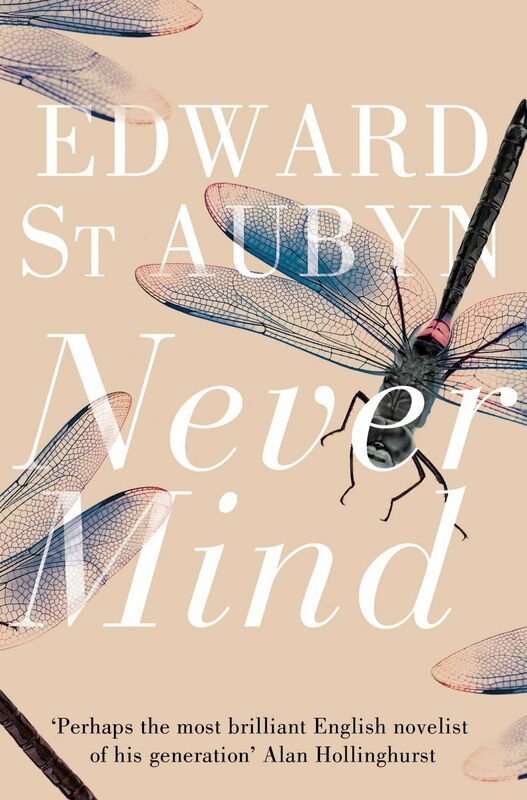 I packed the ten bags carefully in two tote bags and when I got on the plane to return to Switzerland, I gently placed the bags in the overhead compartment. Several travelers attempted to push my tote bags to fit their suitcases but each time I rose and said “no toca mis bolsas por favor” which means “please don’t touch my bags.” After the third occurrence, my daughter obviously embarrassed by my diligence, turned to me and said “Mom, you’re like the potato chip nazi…don’t you think you are going a bit overboard?” Out of the mouth of a babe the truth emerges. I probably was going a bit too far, but good potato chips can do that to me and I didn’t want anyone smashing my chips. Back in the United States, I would periodically look for potato chips made with olive oil and I did find a few brands that listed olive oil as an ingredient but none that listed olive oil as the only oil used to make the chips. 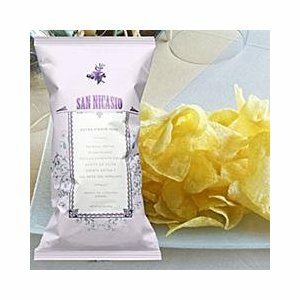 When I discovered www.tienda.com as a source of Spanish foods, I was pleasantly surprised to find “San Nicasio” which are potato chips produced in a small town outside of Cordoba in the south of Spain (olive oil country). I went to their website: www.sannicasio.es and read about their products I learned the company uses a sour potato to make their chips and depends on the local olive oil producers to make their award-winning potato chips (the chips won two consecutive gold medals in 2008 and 2009 at the Brussels World Selection of Quality). Convinced, I ordered two bags of chips, which were $11.95 plus shipping. The chips arrived in perfect condition surrounded by bubble paper and when I held the first bag in my hand, I felt like Charlie Bucket opening the Wonka bar with the golden ticket. I wasn’t disappointed.